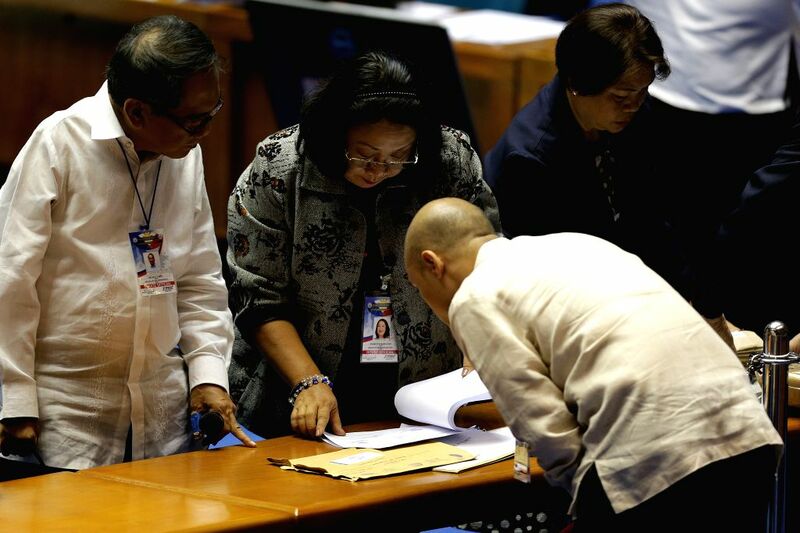 QUEZON CITY, May 25, 2016 - Senates, Congress officials and election lawyers check the ballots during the official counting of votes from the May 9 elections of president and vice president at the House of Representatives in Quezon City, the Philippines, May 25, 2016. A 14-man joint canvassing committee composed of seven senators and seven congressmen is set to start the official counting of votes at the House of Representatives in Quezon City, Metro Manila. 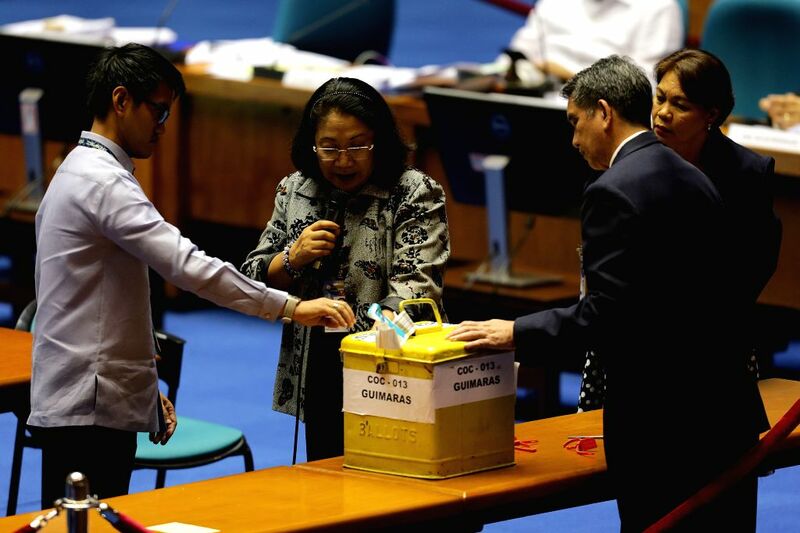 Senates, Congress officials and election lawyers check a ballot box during the official counting of votes from the May 9 elections of president and vice president at the House of Representatives in Quezon City, the Philippines, May 25, 2016. 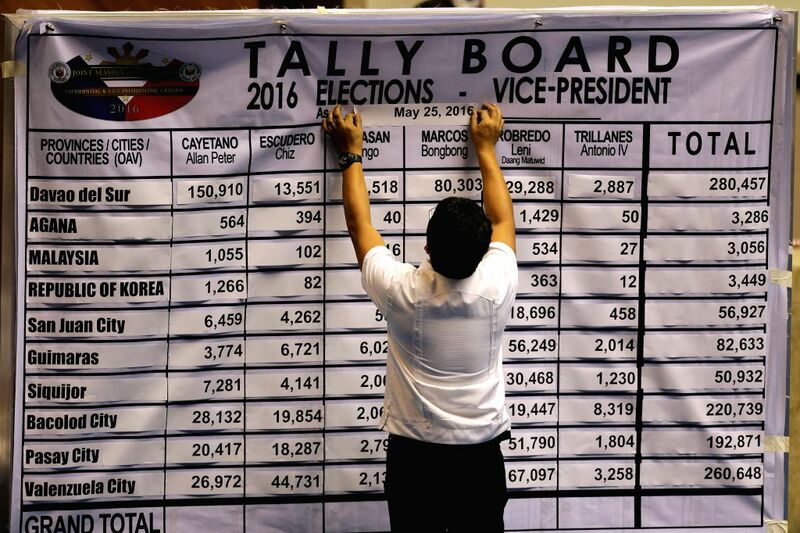 A staff member from the Philippine Congress puts the date on the tally board during the official counting of votes from the May 9 elections of president and vice president at the House of Representatives in Quezon City, the Philippines, May 25, 2016. 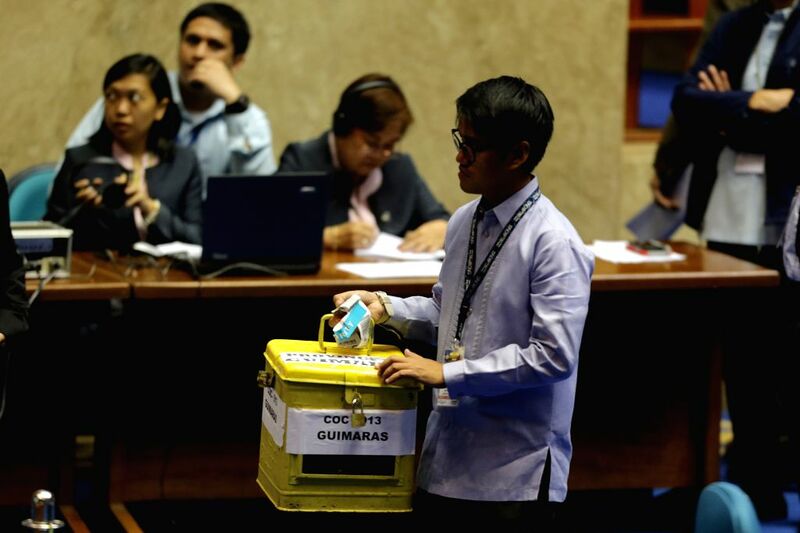 A staff member from the Philippine Congress carries a ballot box during the official counting of votes from the May 9 elections of president and vice president at the House of Representatives in Quezon City, the Philippines, May 25, 2016.